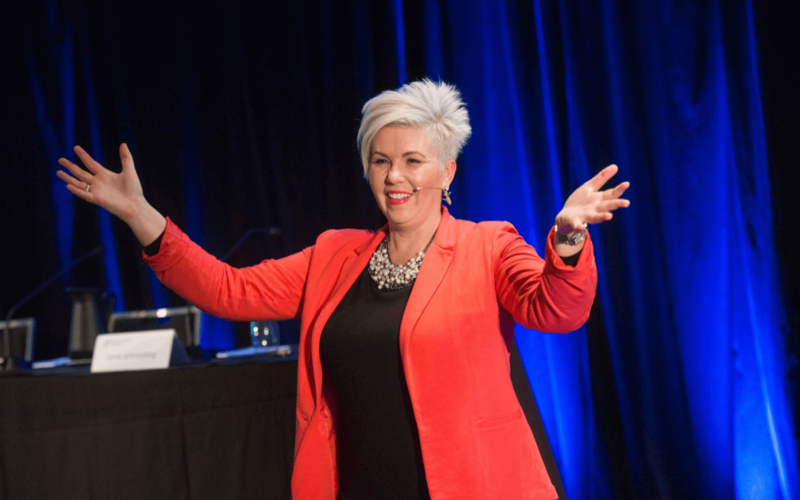 She’s a savvy business chick who exudes confidence, style and authority as a leading business growth mentor in Australia, but just 10 years ago Jane Anderson was 30, divorced, jobless and living at home with her parents. It’s a far cry from where the author, speaker and personal branding expert is now. But, like many others, it took for Jane to hit rock bottom before she could turn her dreams of starting a business into a reality. “I was at the six week mark of unemployment and my mother put her hand on my shoulder and said, ‘I don’t know what you’re doing, but it’s not working. I think you’d better have a chat with Centrelink,’” Jane reflects candidly. After applying for countless jobs, it was a devastating prospect. However, Jane knew she was destined for bigger and better things. “I always knew I wanted to be a mentor in business growth, the problem was when I was married, I wasn’t allowed to do it,” the 40-year-old reveals of her two-year marriage. Jane says that because she was the breadwinner, the couple needed her income to survive while her ex-husband focused on becoming an entrepreneur, something the ambitious blonde was also pining for herself. Jane promised herself that this time would be different and that she would not let self-doubt get in the way. “We look at other people and go, ‘Wow they’re a rock star and I’m not. I have no more value to add to the thinking that’s out there so I’ll just do nothing.’ People become paralysed by comparison,” Jane says, admitting that had been the case for her. Jane knew she had to have a major shift in mindset if she was going to be among the small percentage of business owners that actually survive. But as dedicated as she was, Jane reveals that her business went backwards before it went forwards as she tried define herself in the marketplace. Jane says it’s important to be clear on your identity, especially if you’re a personal brand. She recommends asking questions like, who do I want to help? How do I want to help them? What is the biggest value I can bring to the world? What skills do I have that would help solve people’s problems? She also suggests bringing in experienced and trusted people to help discover the answers to some of those big questions. “Sometimes we’re too close to our own stuff and we need someone to look at it from a distance and help us establish our vision smartly,” she explains. Ultimately, Jane credits her success to building and maintaining key relationships. “I never really understood what that meant, I thought yeah I’ve got a good family and nice friends but the problem was they didn’t understand what I was trying to do. The rest Jane says, comes down to hard work. Jane also tells people that while social media is an important marketing tool, you should never underestimate the opportunities that are right on your doorstep. Other practical tips are to make sure you can easily be found online, have a strong awareness around who your potential customers are and where they hang out, and then find innovative ways to educate and add value to their lives in order to build authority, trust and eventually, become an influencer among your followers. But for those who are in the same boat as Jane was 10 years ago, and are lacking confidence to get started, the business mentor has some very powerful advice. “It’s about people helping people,” Jane’s simplifies. “When you can remove the ego from the equation and realise it’s not about you being scared, it’s about being in service and supporting someone else that has a problem or challenge that you can help them out with. Congratulations Jane, great climb, and courage to this version of you. Inspiring and yet calming, as I have started the same journey with my dependant children to provide for as well. Tough days…. I can see the surface from the pit I’m in & climbing? Environment is critical on enabling, looking for my herd in the haze. Thanks for sharing? Thank you for sharing, Many parallels for me. So glad I read this as it reaffirms for me that I am ‘owning’ the right track for me. Then I too can be a great role model to other women and my son. Thank you! !